Come with me, friends, to another time, to the 1980s—when gas was 69 cents a gallon, when the East Village teemed with creative energy and not chain stores and air-rights wars, where $5 would get you a hell of a lunch with plenty left over for a generous tip. Can it be that this movie is twenty-five years old? 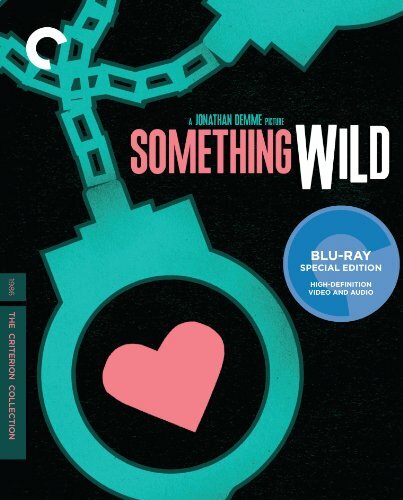 It shows its age some—in its fashion, its music—but it remains just a delightful, surprising, disarming romantic comedy, one that you'll be giddy about revisiting on Blu-ray if you've seen it, and one that will be a joy to discover if you haven't. Charlie and Lulu carry most of the picture, but even the smallest roles are well cast—Demme has put in a number of fellow directors, for instance, so it's a treat to see John Waters as an oily used car salesman, and John Sayles as a piggy motorcycle cop. The principal charge against the movie is that it takes a rather abrupt turn about halfway home, going from edgy comedy to something much more dangerous—it coincides with the appearance of Ray Liotta, in his debut performance, a stunner. He's incredibly dangerous in the role, and it's a great introduction—it also incidentally served as one of the all-time great screen tests, essentially landing him the lead role in the greatest film of all time, GoodFellas. The cast is rounded out with members of Demme's de facto stock company—one of the pleasures of watching his movies is seeing the same wonderful faces pop up time and again, a chance to welcome back old friends. The movie is also kind of a valentine to its time and place—it's informed by the downtown 80s New York vibe, down to soundtrack contributions from David Byrne and Laurie Anderson. (Fujimoto and Demme love establishing shots swooping through the harbor, and from our vantage, it all seems a bit more vulnerable now—the Twin Towers of the World Trade Center are prominent in many shots in the opening sequence.) Fujimoto participated in this new transfer, and it shows—I've never seen the movie look better, and if you're not in love with New York now, you might be by the time you're just a half hour in. The only quarrel with the release, really, is that the extras are pretty paltry, especially considering that Demme's commentary track on Criterion's long-out-of-print Silence release is tremendously interesting. Instead here we get an interview (33m:19s) with the director, talking about casting (Kevin Kline almost starred, rather than Daniels), his partnership with Fujimoto, and the project as kind of a recovery period from the studio travails of Swing Shift. Talking more briefly is screenwriter E. Max Frye (9m:19s), on the origins of the story, the rich cultural ferment of his Manhattan neighborhood, and how well served his words were by everybody associated with the project.